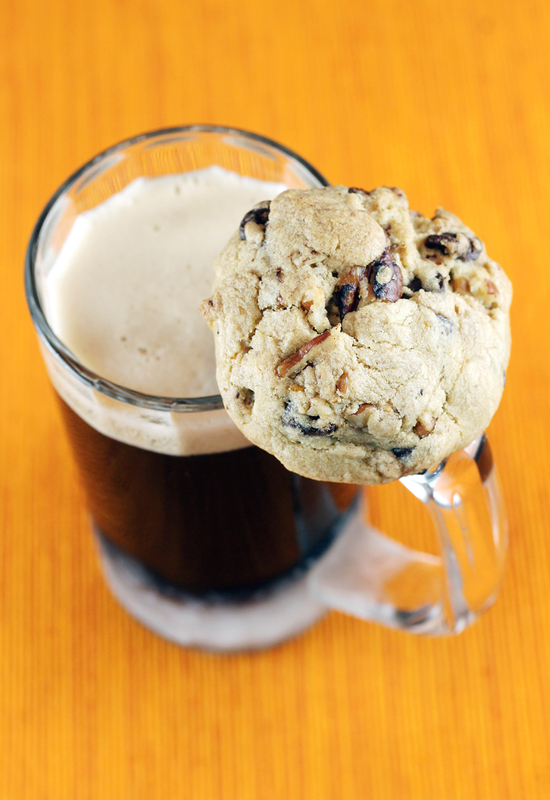 Introducing Cookies & Beer — Really! Would you like a cookie with your beer? 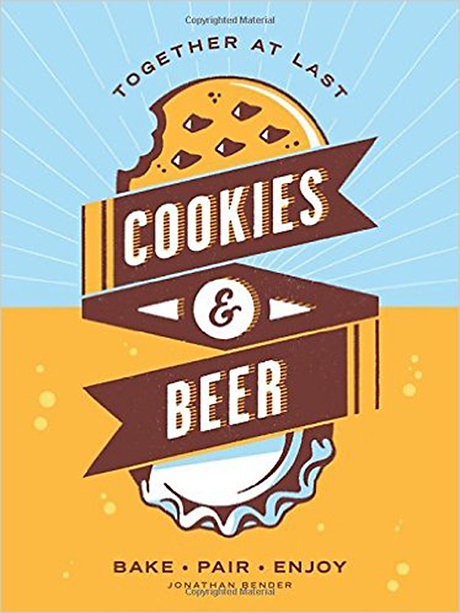 If you’re like me and usually associate drinking beer with noshing on salty, savory or spicy foods, then you’re in for a delightful surprise with “Cookies & Beer” (Andrews McMeel). The fun little book, of which I received a review copy, is by Jonathan Bender, a Kansas City-based journalist and founder of Recommended Daily, a site devoted to local food news. Bender solicited cookie recipes from chefs around the country. With each, he’s paired a specific beer, and tells you his reasoning behind his picks. 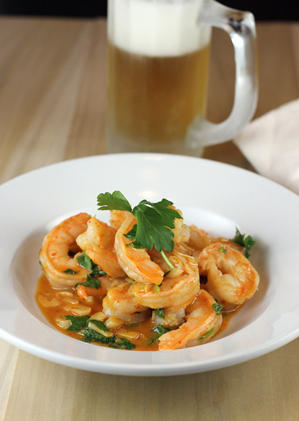 It will definitely make you see beer — and cookies — in a new light. Eight of the cookies are actually made with beer. There are even two recipes that use spent grain in the dough (which you can cajole from friends who make their own beer). And perhaps to appeal to the male brewski base, there are four cookies that are flavored with bacon. Leafing through the book to contemplate which recipe to try, you might choose one that’s designed to go with your favorite type of beer. Me? I went straight for the cookie instead. Give me a good chocolate chunk cookie any day, and I’m one happy camper. Flavor it with a load of fresh orange zest, and I am even more delirious. That’s why I chose to bake “Chocolate Chunk Cookies” from Pearl Bakery in Portland, OR. I’ve had the good fortune to visit that bakery, and their baked goods are exemplary. The fresh citrus zest really perfumes this cookie. Pecan halves add roasty-toasty crunch. These are tall cookies. They don’t spread much when baking. They are soft, but not lacking structure. Bender recommends a Fuller’s London Porter with these cookies. I opted for a Guinness, as I happened to have a bottle at home. I have to say the dark, heavy, slightly bitter beer with its almost coffee-like notes really did match beautifully with the bittersweet chocolate chunks and subtle bitter rind in the cookie. This was the first time I’d ever eaten a cookie with beer. It surely won’t be my last. 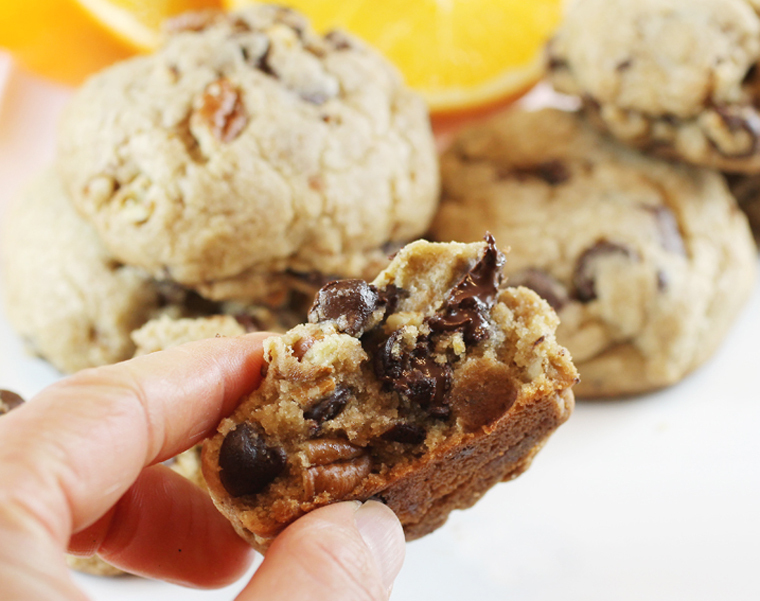 Soft, and loaded with chocolate and orange zest. 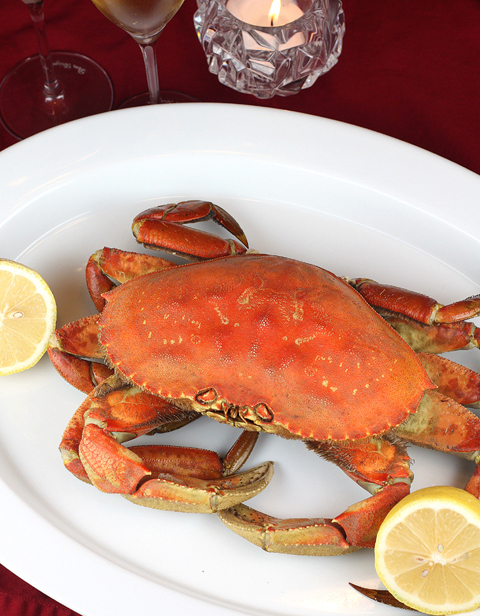 In a medium bowl, sift or whisk together the flour and baking soda. Set aside. In the bowl of a stand mixer fitted with the paddle attachment, cream together the butter, brown sugar, salt, and orange zest on medium speed until light and fluffy, about 2 minutes. Don’t mix for too long or the cookies might bake flat. Add the egg and vanilla, and beat for another minute, or until thoroughly combined. With the mixer running on low speed, add the flour mixture all at once and mix until thoroughly blended, scraping down the sides of the bowl once or twice. In a separate bowl, toss together the pecans and chocolate chunks. Add them to the cookie dough in a steady stream and mix just to combine. Bake for 15 to 20 minutes, until the cookies just start to turn golden brown. they should still be a little soft in the center. These cookies are best eaten the day they are made, but will keep in an airtight container at room temperature for up to 3 days.